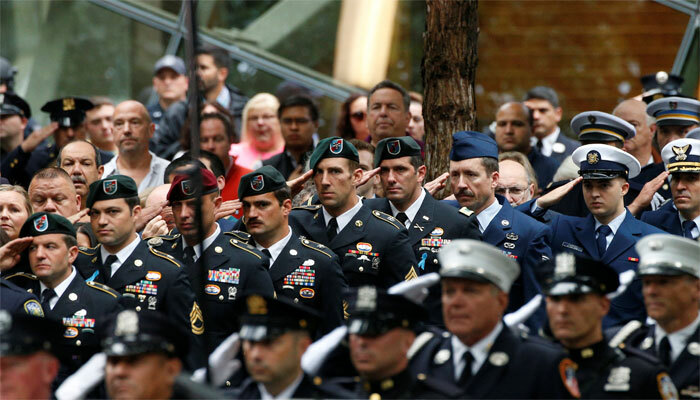 New York: New York on Tuesday honored the nearly 3,000 people killed on September 11, 2001 in a ceremony at Ground Zero, the site where hijacked Al-Qaeda planes brought down the Twin Towers. "It is not a day to give speeches, it is not a day to talk about politics. It´s about the heart," said Alice Greenwald, director of the 9/11 Memorial Museum. "We need to stand together, that´s the only way we can deal with that kind of pain."